Printing ink is transferred to the printing of the coloring matter during the printing process.Transferred from the printed version of the graphic to the substrate, the ink graphic pigment formation . Ink in India after fixation to the substrate surface, as the printing permanent imprint, and have a light, oxygen, water resistance, solvent resistance Resist. Printing ink is by the pigment, links and a variety of auxiliary materials, filling agent according to certain with a mixture of than quantity. 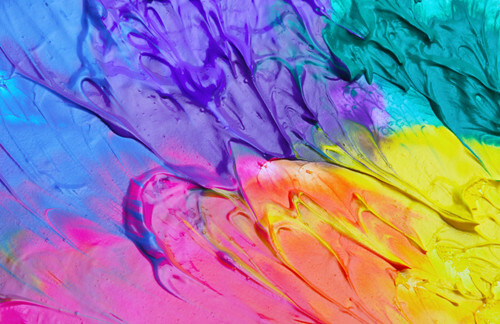 The pigment evenly are suspended in liquid connection expected, form a kind of colored, exquisite, more stable colloidal material. In the printing ink, links to material is fluid and solid color material scattered on the role. In the printing process, links plays the role of material carrier, the link to carry solid pigment in material each printing interface transfer, and finally to the thing on printing. In printing, link up the protection material, through the connection materials dry film prevent pigment falls off, oxidation and pollution.